SHOT CLOCK OR CLOCK SHOTS? I've pontificated in these pages before about some of the key misnomers connecting the world of golfology with the world of horology – golf watch v golf timepiece; timepiece v timing device – but now it’s time to add one more common sense observation into the mix … timing or counting? Watching the shot clock or clocking the shots shot? The game of golf has long since attracted the major watch brands, most notably Rolex and Omega, as a means to associate, promote and align their brand values to our beautiful game. Anyone watching any golf event on Sky will be used to the force fed ‘Rolex - 50 years of Golf’ stories featuring major tournaments and a whole host of major golfing gods to such a point where we can almost buy the ‘it just doesn’t tell the time, it tells history’ marketing line. Yet despite this mutual ‘love-in’ with golf Rolex don’t actually have a model within their range that is actually themed around golf. Yes you can be a submariner or a yachtmaster or view Daytona as a must visit on your bucket list but a Golfmaster is a notably absentee from their collections. Omega have tried a little harder to connect with golf with their rather snappily named ‘ Omega Seamaster Aqua Terra Golf’. I’ve always thought that this particular model was targeted at wealthy yacht owners who happen to like golf and have therefore installed a driving net on their poop deck. There probably isn’t even a net – just brand new Pro V1’s disappearing into a blue Mediterranean sky before splashing majestically into a flat calm sea – rich people don’t top it do they? Tag Heuer really got into the spirit of the game when they launched their Tiger Woods Golf Watch back in 2005 – the one with the crown on the left hand side and an integrated clasp within the case. Well thought through for right handed golfers but fundamentally flawed for the lefties in our sport. Tag Golf watch Phil? ... or are you going to stick with your Rolex? Other manufacturers have got stuck into the world’s top 50 players in order to promote their brand – in particular Audemars Piguet and to a lesser (but more costly) extent Richard Mille. 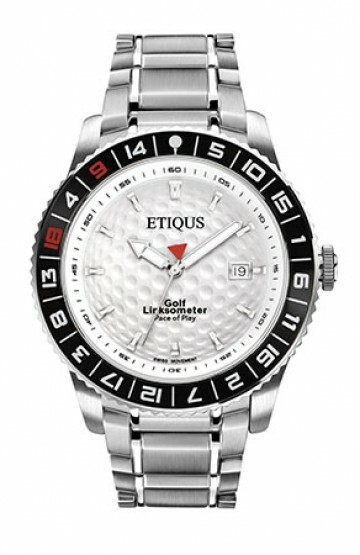 Emotive photos of the worlds top golfers clad in their branded golfing gear wearing a fantastic watch. Yet most, with the notable exceptions of Bubba Watson, Phil Mickleson and previously Colin Montgomerie, don’t actually wear a proper watch when playing. Why should they? Perhaps their caddies should! 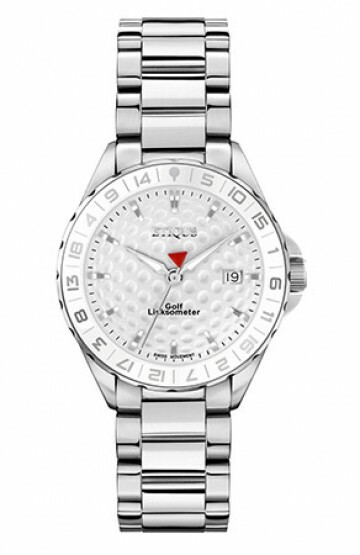 One niche brand that dedicated it’s existence to golf was/is Jaermann & Stubi who patented a mechanical movement that actually enabled the golfer to count their score as they played along using a combination of pushers on the side of the watch. They are marketed as the ‘Timepiece of Golf’ with watch cases made from the melted down irons of golfing heroes such as Seve and Nick Faldo. Perhaps the 'Counting piece of Golf' might have been more apt? With watches priced at over £10,000 a pop they’ve struggled to gain traction in the market and have since been acquired by a Japanese company. The common themes amongst the brands that use golf to promote their products is that if there is any link to golf it’s pretty tenuous or plain naff, and all retail at prices that are way beyond the average golf club member. If anything they continue to reinforce that Golf is a sport for the rich, elitist minority who view the only role for the golf masses is to rock up to the Open once a year and hand over their £80 a day or so. So last month it was interesting to see two 'time related' golf stories break in a matter of days. Firstly we heard the news from the European tour that they were going to introduce a ‘shot clock’ in the Austrian Open event in 2018 with emphasis placed on players curtailing their pre shot routine so that they can hopefully dispatch the ball in the direction of their intended target in under 40 seconds. European Tour boss Keith Pelley hoped that such innovation would bring three ball rounds down to under 4 hours! I like the thinking although I fear the execution is a little timid – why not introduce it at every event for the season - Formula 1 are always trying season long innovations. I also think that there’ll inevitably be some Pro’s who rather than entering into the spirit of the thing will actually contrive to delay the point at which the shot clock may start – let’s see how Jason 'Allday' handles it. So with all this talk about timing, pace of play and shot clocks when I read the next headline that Hublot (pronounced U-blo) were launching their first ‘mechanical golf watch’ citing new brand ambassador Dustin Johnson as being ‘recognised for perfect timing’ I was immediately misled in believing that we were at last going to see a new golf ‘timepiece’. Alas no. The equally snappily named ‘Hublot Big Bang Unico Golf’ is a Jaermann and Stubi-esque counting device priced competitively at $31,500. I can see every golf member now phoning up their credit card supplier to increase the spending limit for this year’s Christmas 'must buy' gift for the golfer. If as a result you are left totally despondent and disappointed about this you can instead buy an unbranded 'counting watch’ on Amazon for just £1.27. Please forgive the slight sarcasm in this piece but sooner or later someone is going to grasp that a ‘timepiece’ for ‘golfers’ ought to be exactly that – themed around the key time related aspects of the game – your tee time, your pace of play, looking for a lost ball and now potentially a shot clock – and it might just gain acceptance if most golfers could afford it or at least aspire to it! 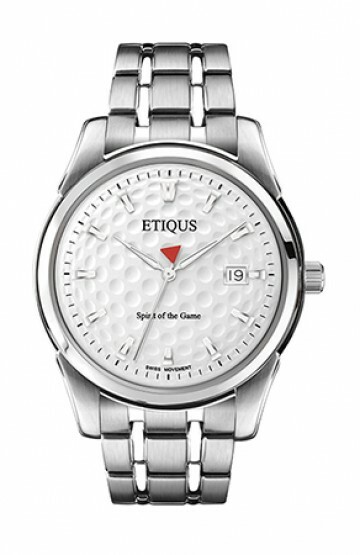 If brand isn’t your be all and end all, then remember that an ETIQUS Golf timepiece is exactly that – a good quality watch, truly capturing the time related aspects of golf at around the price of a driver. 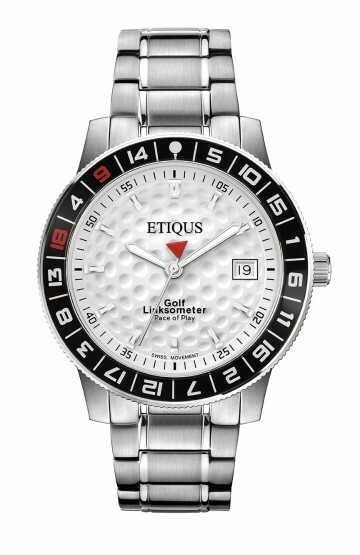 As we like to say … you wear a Rolex because it’s a Rolex, but you wear an ETIQUS because you’re a golfer. Enough said.